Being a small to mid-sized company comes with many challenges and growing pains, but there also are advantages to being able to act nimbly in a competitive, ever-changing consumer goods landscape. These companies often enjoy the fastest growth while connecting with consumers on a deeper, more personal level that can result in a loyal, sometimes cult-like following. Whether it’s a 30-year-old, family-run apparel company with humble beginnings or a niche product that’s shaking up the direct-to-consumer sales model, these companies have learned a lot on their journeys to success — and the industry has a lot to learn from them. About: Charles River Apparel is a third-generation, family-owned and operated apparel company known for designing, developing and distributing lifestyle apparel for men, women and children. Founded originally to sell a collection of rain jackets, the company has brought new style and innovation to its now-extensive line. The company boasts successful products like the New Englander rain jacket and Pack N Go jacket, and is also known for its monogramming and decoration services. Under the leadership of CEO Barry Lipsett, the business has grown from 50 to 90 employees since 2012, with annual sales growth of 15% to 20%. Additionally, the company saw an explosion in growth three years ago when it started selling to the monogram market in the South. “Great designs and a wide variety of colors appealed to the monogram community and, as a result, we saw a tremendous lift in our business. Leading the pack was the New Englander rain jacket followed the Pack N Go, which is another top style for CRA,” Lipsett says. The success in this market spread on social media, which also contributed to the overall growth. Next Big Move: Charles River Apparel will look to increase engagement with fans of the New Englander through new colors and designs and the launch of pop-up stores throughout the region for which the product was named. It also is “excited to introduce our new program, Colors for a Cause, which leverages the sale of key New Englander colors to help various causes throughout the year,” explains Lipsett. About: Starting out with an epiphany that led to the classic scribbling on a bar napkin, evolving into a prototype salvaged from an abandoned Volkswagen in a neighbor’s yard, and tested by friends on ski patrol and mountain rescue teams, the seed for Crescent Moon Snowshoes was first planted in 1997. Fast forward to today and the product is best known for striving to be “invisible” — designed to feel as if you're not wearing snowshoes at all. 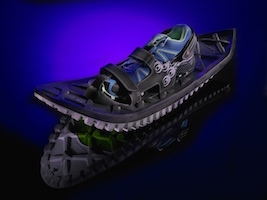 A Growing Business: After 20 years of manufacturing, the company recently introduced its most innovative snowshoe yet, gaining recognition at the annual SIA (Snowsports Industries America) event through seven "Best Gear of Show" awards and Powder Magazine's No. 1 Editor’s Pick. Next Big Move: “We hope to change the sport — and perhaps the industry — through innovation,” promises president Jake Thamm. 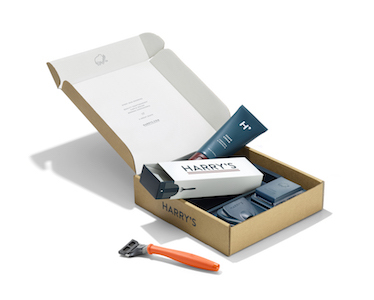 About: Harry’s was founded on the premise of “delivering an exceptional shave at a fair price.” Unlike big brands, the company has made headway in the shaving category by selling direct-to-consumer online at Harrys.com, with the goal of shaving away (pun intended) excess costs for shoppers. More recently, through a partnership with Target, the company now sells both online and in retail stores across the U.S.
A Growing Business: In July 2016, Harry’s introduced its second generation of razor blade cartridges and handles. With the addition of a precision trimmer, rubberized grip and other feature updates, the company was able to innovate its product using direct customer feedback and the expertise of its R&D team. Next Big Move: As for the future of Harry’s, “We’re constantly taking feedback from customers and from our internal team, reflecting on how we can make our business better,” says Raider. “We’re always thinking about how we can continue to grow our business and reach more people,” adds Katz-Mayfield. *Editor's Note: Click here to read CGT's recent interview with the co-founders. About: Hickies, ​Inc. 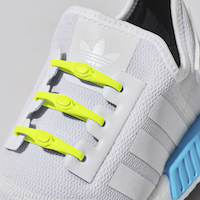 is a global footwear accessories brand focused on performance, innovation and design that came to fruition through the understanding that shoelaces are often a hindrance to athletes. Thus, the company's flagship product was created: The Hickies Lacing System flexes with the foot’s movement, adding the benefit of adaptive fit and tension control to any shoe with a sleek, no-tie, modular design. The result is a streamlined shoe that is at once more comfortable, more secure, and easy to slip on and off. A Growing Business: Some of the company's more recent accomplishments include expanding retail distribution to 43 countries and expanding e-commerce operations globally. This includes launching standalone websites for Germany, Europe, the UK, and Australia, opening three new warehouses and establishing a presence on e-commerce marketplaces Amazon.com and Jet.com. Notable press mentions and several successful video ad campaigns on social media also led to record-breaking sales. “In November, Hickies successfully launched Hickies 2.0 and Hickies Kids to the tune of $580,000 in pre-sale orders on Kickstarter. Hickies 2.0 now exceeds Hickies 1.0 in daily sales,” says Keith Martine, PR and communications manager. The company currently holds 50 granted and 20 pending patents. Next Big Move: “In 2017, Hickies seeks to introduce our lacing system into untapped countries and further develop the brand in established markets — with a focus on Brazil,” says Martine. It also plans to develop partnerships with global footwear brands. About: Back in 2014, while trying to find the perfect dessert to go with dinner, French native Maxime Pouvreau realized that something was missing on U.S. grocery store shelves: Pot de crème. Though a traditional dessert in France, this sweet, creamy pudding is relatively unknown here. As a fan of all things sweet, Pouvreau knew he had to fix this, so he started Petit Pot in San Francisco to bring not only Pot de Crème but a whole line of desserts. Pouvreau combined his knowledge of French pastries with California’s quality cuisine market to produce authentic French desserts the way they’re meant to be enjoyed: with a smile. A Growing Business: Petit Pot’s accomplishments of late are getting into Safeway's Northern California stores and two of Whole Foods' western regions. “We also launched an organic rice pudding, the first ever in the U.S. market,” according to Pouvreau. Next Big Move: “Expansion to the East Coast,” is next on the list for Pouvreau and Petit Pot. A Growing Business: The company has obtained 18 patents to create pure, plant-based instant beverages that are made using only organic tea leaves and herbs, thereby “delivering a higher-quality beverage without any sugar, preservatives, artificial flavoring or plastic bottles,” according to Cheng. 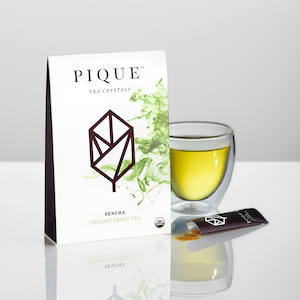 Pique Tea has rolled out to 500 retailers nationwide and has food service accounts like Facebook, Snapchat and Square (where Pique Tea is served in their cafeterias). Next Big Move: Goals include creating “the most relevant tea brand for millennials and leading a new category of pure, instant beverages that taste great and are healthier for the consumer and the environment.” Cheng also wants to start online conversations with as many consumers as possible, using proprietary digital marketing methodology that he developed at StartX, Stanford University’s accelerator. About: Founded by Julie DeFruscio and Dawn Juneau, Pump Wear was born out of a need for fun, creative ways to wear an insulin pump after DeFruscio's then-three-year-old daughter was diagnosed with Type 1 diabetes. DeFruscio quickly discovered that the pumps her daughter was required to wear were bulky and difficult to conceal. 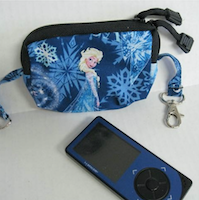 “We are a company that makes clothing and cases for children and adults who wear an insulin pump. We also offer specialty items such as meter cases, medical alerts, walk T-shirts and more. We also customize products for those with special needs,” explains DeFruscio. A Growing Business: In 2016, Pump Wear added a new product called Seat Belt Alerts, which can aid wearers by notifying medical personnel about urgent medical needs. Visitors provide their vital information in a form included in the device, which uses Velcro to attach to a vehicle seat belt or even a backpack. Next Big Move: Like any small company, growth is key for Pump Wear. DeFruscio says the company would like to get the new Seat Belt Alerts into major chains. 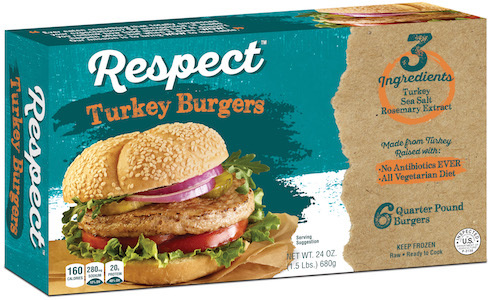 A Growing Business: In 2016, Respect Foods introduced consumers to new brand Respect, antibiotics-free, raw turkey burgers containing only three simple ingredients: turkey (raised on a vegetarian diet without antibiotics), sea salt and rosemary extract. “People love them because they are juicy, healthy, low in sodium, protein-packed and attractively priced,” explains Hartman. "Our belief is that simple and healthy can be amazingly good." A Growing Business: According to Scott, some of the company’s top recent accomplishments have been launching the new Green Goo brand with 100 SKUs and new formulas, rolling out a new ERP system with NetSuite (now Oracle) to lay the framework to grow exponentially in 2017, and getting the product assortment of Green Goo Deodorants picked up by some of the world's largest retailers including Walmart, Target and AAFES (Army and Air Force Exchange Service). Next Big Move: “We intend to bring additional products to market and grow in many more retailers while enhancing our online presence, growing our humanitarian and healthcare efforts, and even launching a new mobile application experience — which essentially is a Giving Goo subscription box,” adds Scott. About: CEO Dan Klein says that Tiesta Tea's mission is to create quality loose-leaf tea blends that are "understandable, affordable and accessible" by using natural fruits, herbs and spices to enhance flavor and function. With flavors such as Blueberry Wild Child, Maui Mango and Fruity Pebbles, the company aims to make teas that appeal to the masses. A Growing Business: Tiesta is currently distributed in roughly 6,000 stores nationwide and claims to be the largest provider of loose tea to Costco, Safeway/Albertsons and other chains. “Our 2016 launch with Costco was especially exciting as it was a completely different tea offering than they have ever tried selling,” says Klein. Next Big Move: Tiesta Tea’s goal for 2017 is to make its products more accessible by increasing distribution and also expanding its retail footprint to multiple areas of the store. 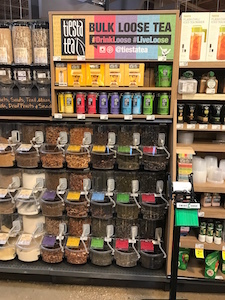 “Our 'Loose Tea Scoop Station' is our fastest-growing product line and has created a store-within-a-store experience. Customers can scoop up to 37 different teas at their local grocery store for a fraction of the price of what that same type of tea would cost at specialty tea retail stores,” Klein says.